In 2009, a deadly outbreak flu virus termed H1N1 brought the importance of cleanliness to the fore in dramatic fashion. For possibly the first time in recent history, whole populations started to look at how they interacted with the world around them in terms of avoiding infection, and in no small way, this affected schools. The potential for disease transmission within the school environment is massive as hundreds of students and staff are in constant contact with each other via things as innocuous as door handles, P.E. equipment, desks or toilet facilities. From this it is clear that the importance of daily, professional cleaning cannot be emphasised too much. Along with the clear health benefits of a clean environment, there are other important reasons why a school should be thoroughly cleaned on a regular basis. Absenteeism both from staff and pupils has a detrimental effect on a school’s ability to function. Sick children miss out on important lessons which, in the long run, may have long lasting consequences when it comes to exam time. 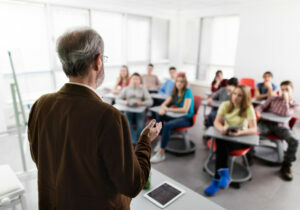 The same effect can be seen when teachers are missing through illness as it can interrupt the students’ learning curve. The impression that a school gives is important when it comes to encouraging new students to study at the institute as well as the impression it gives to the parent. Clearly, a dirty or badly presented facility is going to have a detrimental effect on how the school is perceived which could impact on student numbers as well as finances. This is also true when it comes to inspection time as a badly turned out school is not going to garner much confidence in its scholastic achievements if the basic facilities are not up to standard. It is the responsibility of the school to ensure the safety of both the students and the staff. Cleanliness is part of that safety, as is emphasising its importance in the form of education and practice. Again, it would be difficult for a badly presented school to lead by example. Having accepted the fact that a school needs to be a beacon of cleanliness, the question is: What is the best way of achieving this? The answer is a professional cleaning company. A professional team can produce a manageable cleaning plan that will ensure that all important areas of the school complex are cleaned at the correct time and intervals, thereby reducing the chances of infection for both staff and students. The company will become familiar with the premises and identify hotspots that require more cleaning time and ensure that known danger zones, such as toilet and changing facilities, are targeted on a regular basis. A clean school is a more pleasant place to work and more conducive to successful learning. The best and most effective way of achieving this is with a professional cleaning company. 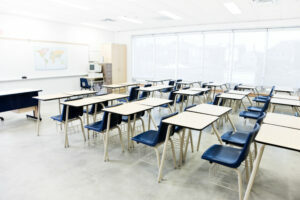 The experts at JMS Cleaning Services are on hand throughout the North West to provide thorough and high quality school cleaning contracts at all educational facilities. From improving hygiene levels in classrooms and communal areas, to litter picking and graffiti removal around the school grounds, our qualified team take care of it all. Get in touch with JMS Cleaning Services today to find out more.